Tom Hardy recorded a message for fans in attendance at the Brazil Comic-Con over the weekend where he revealed that the upcoming Venom movie, which is currently in production, is based off of the legendary Lethal Protector comic series from the early 90s. Rumors of the source material have been swirling for months, but the Lethal Protector idea was the frontrunner for most of the fan theories and now it has been 100% officially confirmed. Though the source material has been unveiled, there's still a lot of mystery about the project, but this is huge news from lead actor Tom Hardy. Lethal Protector reinvented the symbiote for the 1990s. The comic series started off with peace between Eddie Brock and Spider-Man, and then saw Brock move to San Francisco. While in San Francisco, Brock began a career as an antihero as opposed to the villain. Obviously, trouble followed Brock, as the miniseries saw Venom tracked and hunted down by the Life Foundation, who sought to tap into the power of Brock's symbiote. As a result, they created 5 new symbiote spawn. Presumably, the movie will adapt this plot twist to introduce Carnage, rumored to be the main villain. Carnage is one of Marvel's heavier villains, created when a symbiote bonded with the psychopathic murderer, Cletus Kasady, who may or may not be portrayed by Riz Ahmed. Tom Hardy promised fans in attendance at Brazil Comic-Con that he promised the he'd do the character justice and also noted that the Venom movie will be very "important" for the Marvel Universe, which is certainly intriguing. But what does he mean? Sony has been pretty tight lipped about the project, but they have said that the movie will be separate from the MCU and is considered to be a Spider-Man spin-off, but after that was said, it was revealed that Tom Holland would be in Avengers: Infinity War, which is in the Marvel Cinematic Universe. It was recently teased by Tom Hardy's trainer for Venom that, "The world is going to see is one of the darkest, most powerful supervillains that Marvel has ever created. It's going to be carnage." This quote has gained a lot of momentum and has fans excited that Sony may decide to have the project end up with an R-rating. In order to tell the Eddie Brock story from Lethal Protector, an R-rating is almost needed to properly tell the tale as well as stay faithful to the source material. The news of the Venom movie was first announced by Sony over the summer when they tweeted a black and white picture of Tom Hardy looking down the camera lens, wearing a T-shirt with Venom's notoriously toothy face on it. The tweet announced that the movie is set for a release on October 5th, 2018 and will be part of Sony's Marvel Universe. There's a lot of news with the possible Disney and Fox merger, so anything is possible with Venom at this point and he might even play nice with Spider-Man on the big screen in the future. 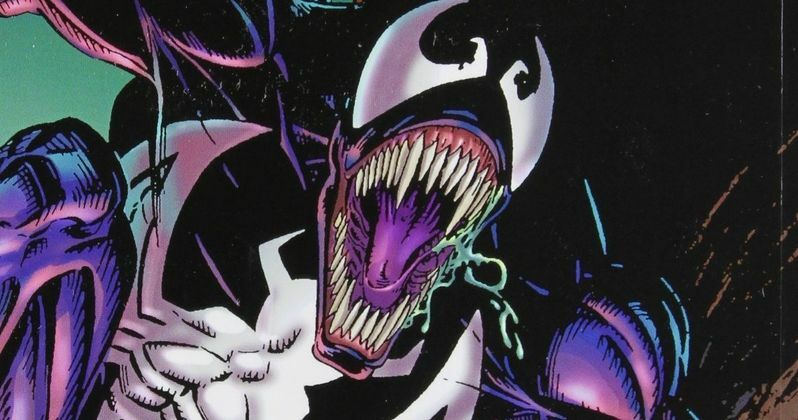 You can check out more of what Tom Hardy had to say about the Venom movie and the Lethal Protector series via ComicBook.com.